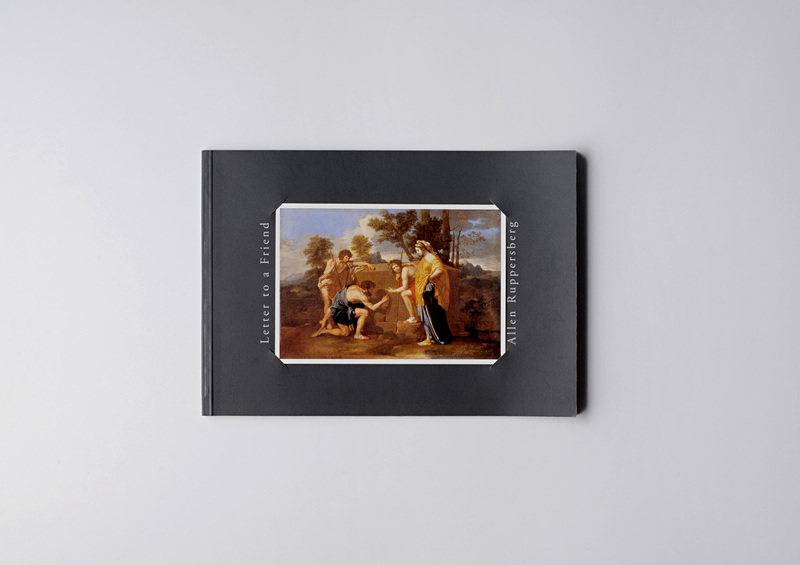 This catalogue documents Los Angeles-based Conceptualist Allen Ruppersberg’s literary-inflected 1998 Frankfurt am Main installation/exhibition “Letter to a Friend”, and whose cover features an inserted postcard reproduction of Nicolas Poussin’s “Les Bergers D’Arcadie”. Artists’ book / exhibition catalogue published in conjunction with show held December 13, 1987 – February 1, 1998. 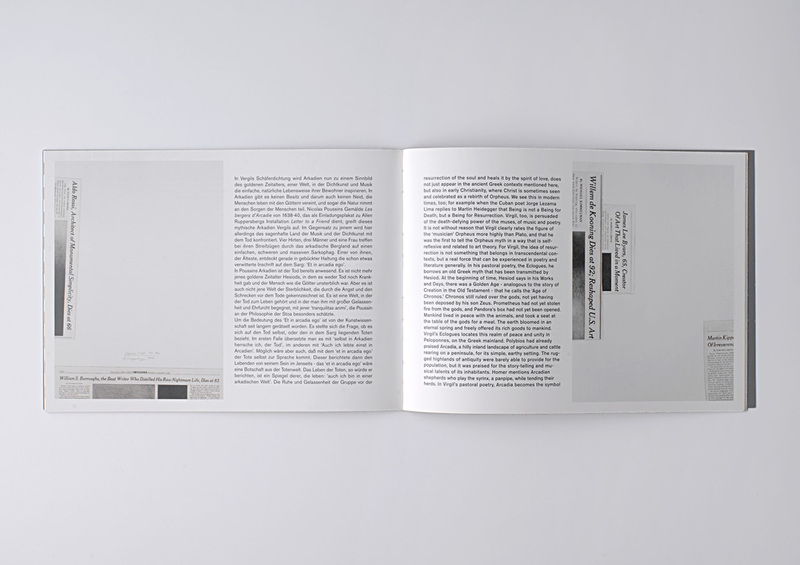 Texts by Angelika Nollert, Wolfgang Zumdick.